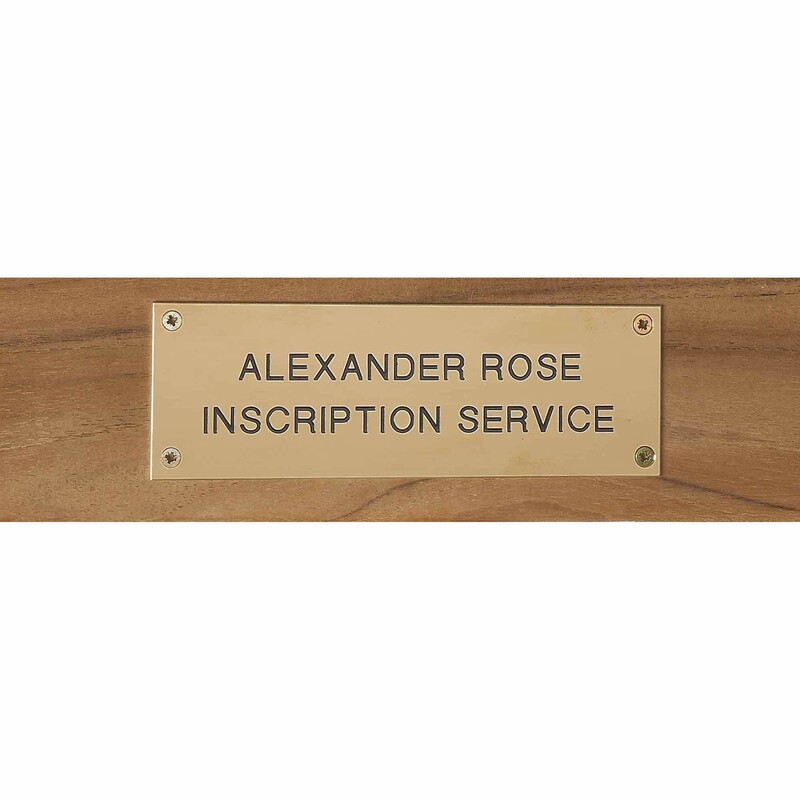 Alexander Rose offer an engraving service with three options, brass plaque, stainless steel plaque and direct engravings onto their furniture. The brass plaque offers a more traditional look for your inscription. The stainless steel plaque provides a more contemporary look with a silver shine, they will not rust. A direct engraving will be carved directly into the timber by a computer aided engraving machine. A direct engraving will mellow down along with the bench to a silver grey if left untreated.